Shhhh. Do you hear that? ......... Silence. Don't you wish it could be that easy to turn off the noise in your life? Soak it all in. With a never ending sea of text messages, scrambled thoughts, and pandemonium— it's easy to be stuck on "alert-mode" all the time. Although these distractions may have become integrated in your reality, that doesn't mean that you are doomed to a lifetime of nonstop racket. Perhaps you just need to be more mindful about how you handle life’s interruptions. According to Kim A. Schoeberl, M.S.N., R.N., N.E.-B.C., a Nurse Administrator in the Department of Nursing, "Think about the last time you disconnected from these devices and were cognizant and acutely aware of what you were doing or what was occurring around you. Challenge yourself to take time each day to recommit to connecting with your inner self instead of devices. Initially this can be a difficult step. With practice, you will find that once you take the time to reset into a mindfulness moment, it can be a path to serenity, joy and fulfillment." 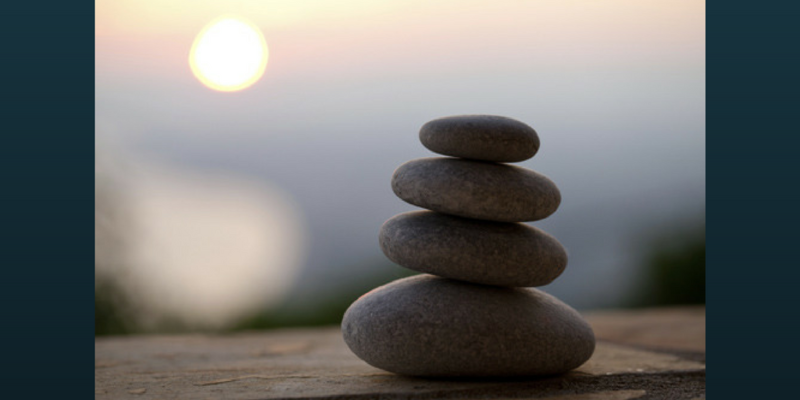 Online resources are available to guide you through mindfulness and other types of meditation. Check here for a new series of videos to “Reset” and Quiet Your Mind. This resource includes videos you can access anywhere to practice mindfulness, laughter, gratitude, Alexander Technique, and more. Visit one of Mayo Clinic’s meditation spaces, including the Mayo Center for the Spirit located in the Mayo Building, Subway Level.